How do you describe your father? Loving, caring, fun, generous… If it’s too hard to put your feelings into the right words, then think about those moments that you spent with him – the moment that he held you up to his shoulder, when you wanted to watch a clown performing in the crowds; The moment that he took you to a playground and taught you the tricks of playing rugby properly; Even the moment that you asked question like ‘Where do babies come from?’… The American author, Helen Keller said, “The best and most beautiful things in this world can not be seen or even touched. They must be felt with the heart.” This is so true. If you think your father rocks, here is a perfect opportunity for you to say ‘THANK YOU’ , as Father’s Day in Australian and New Zealand is only a few steps away. 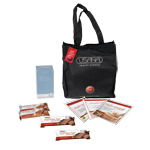 And of course, what better way to say it than with a nice gift pack? Luckily, USANA’s got you covered with great gift ideas that your dad will enjoy from inside out! Who says men don’t need skin care products?! Men these days all want to maintain a younger looking, healthy face. Make sure they are getting the right skin care products, the natural ones without added paraben, to comfort their sensitive after-shave skin. This is a 12-week’s weight management program. It helps your dad stay fit, yet while also providing the essential nutrition that he needs for his day-to-day ‘missions’. Remember, it’s not easy being a father – he needs to carry the burdens for his family - and how can he do that without a healthy body? It’s always nice to give your dad a healthy energy pump whenever he needs it. USANA’s Rev Energy SurgeTM is a perfect choice, for its non-chemicals, non-artificial flavours and sweeteners factors. A nice tip: it tastes more sensational chilled. 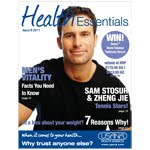 In issue 6 of the Health Essentials magazine, we focus on some of the key men’s health problems. Your dad will get excellent tips from health experts, learn how to look after himself to stay healthier and feel younger. On behalf of the entire USANA family, we would like to say ‘Happy Father’s Day!’ to all the fathers in the world. Fathers rock!